★★★★★ I love this little planner!! It's helped me stay super organized as well as make it easy to show my thought and ideas on paper!! I would definitely recommend it to any future brides!! I already got one of my friends to buy one for her wedding as well!! By far one of my favorite wedding planning purchases!! 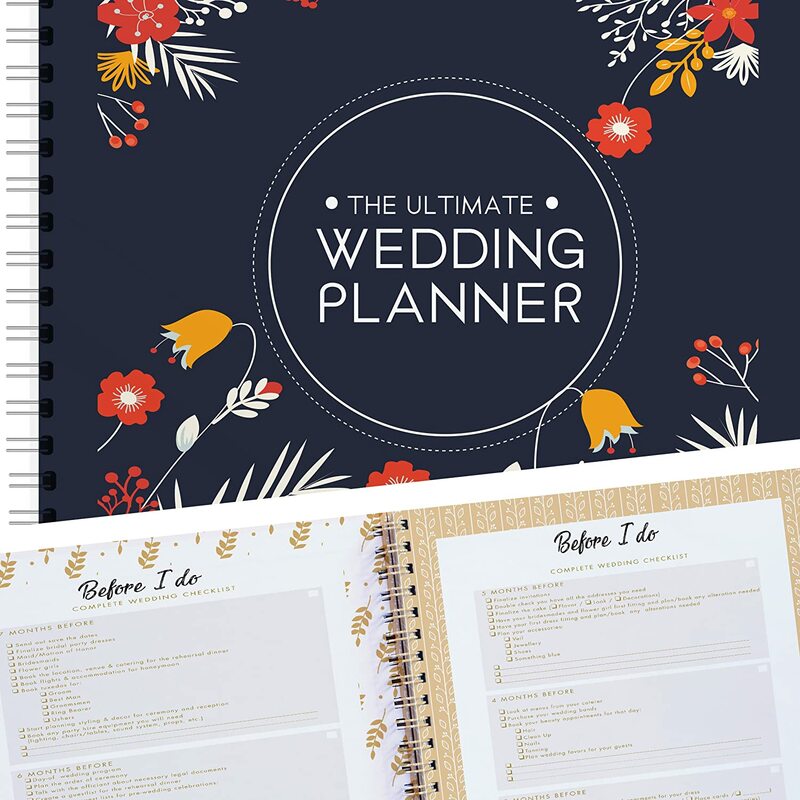 ★★★★★ This planner was bought as a gift for my friend who recently got engaged. She loves that she can keep track of all the planning! ★★★★☆ Really mainstream, doesn't quite fit what I needed. The product itself is just fine but there's so much in here I won't use. ★★★★★ They work great...my son loves them.